We're going to be speaking at the Overland Expo West 2019 in Flagstaff, Arizona! The three day event is from May 17-19, and it works out perfectly for us since at that time we'll be taking a two-month break from our journeys as we finish up the Americas before heading into Africa. We'll be giving a presentation about all the peaks and valleys of our trip so far, including nasty falls and lessons learned, along with our overlanding travel tips. We'll post up a schedule of events as soon as we get it, so stay tuned. Check out the link below for details. We would love to see you there! My name is Tim Notier, and I had this crazy idea. I'm by no means the first person to want to go around the world on a motorcycle, and I certainly hope I won't be the last. But when my fiancée and I decided to quit our jobs, sell our cars, televisions, and furniture, and pack up only the very basics for survival onto a motorcycle to see how far we could go, I would say that pretty much everyone thought we had lost our minds. Though some said they were envious and wished they could do the same, others shook their heads at us, believing we were making a huge mistake. And maybe we were. You've probably landed on this page for one of two reasons. Either you've met me and Marisa, maybe somewhere on the street while wondering what these two dusty motorcycle riders were doing in your hometown, or you found this website because you're a little like me: unable to take your mind off your dreams... searching the internet for inspiration. Regardless of how you got here, I want to invite you to join us on our crazy escapade through the U.S., Central and South America, Africa, Europe, Asia, and beyond...? ​To be honest, we're not quite sure where we'll end up. But it will certainly be quite a ride, and it's because of people like you that we're here, riding the dream, trying to find out for ourselves what lies just beyond the horizon. 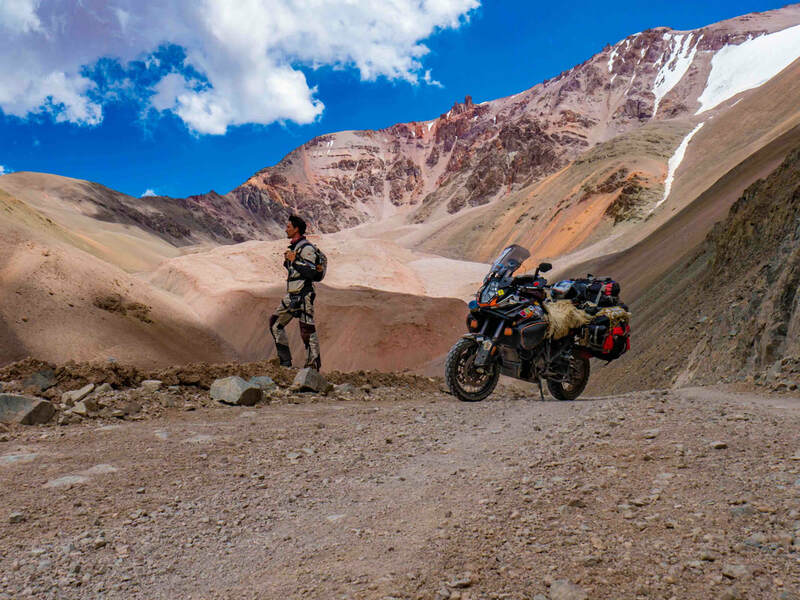 So what inspired us to go around the world on a motorcycle you wonder?